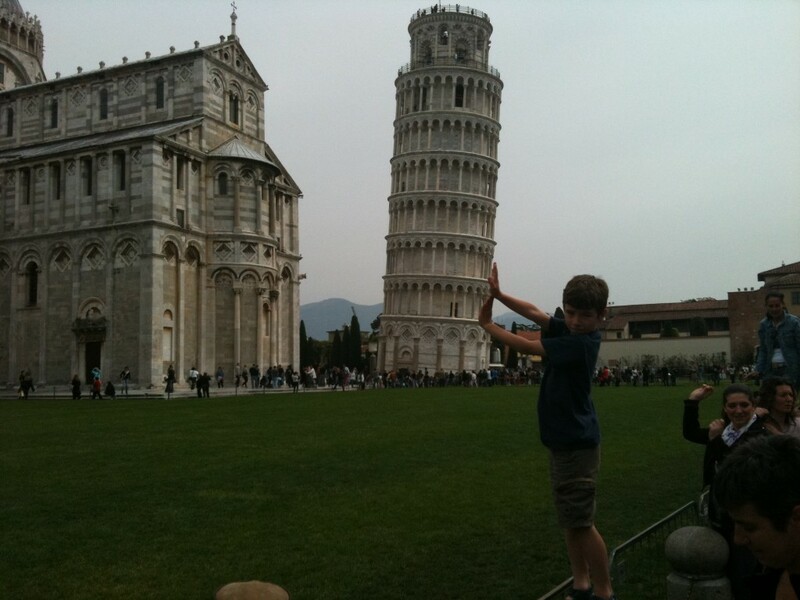 Declan holding up the Leaning Tower of Pisa. Today is Italy’s national day when they celebrate becoming a nation less than 150 years ago. Thanks to the holiday crowds we had a great example of the complete inefficiency with which the rest of the world characterizes Italy. The station was filled with people trying to use machines that wouldn’t take cards, queues didn’t work – it was a mess. In spite of arriving over half an hour early at the station, we made it on to our train to Pisa with only seconds to spare. But the way everyone else characterizes Italy, is the way the Northern part of Italy looks at the South. They may well be one country but there’s an awkwardness to the fit that’s apparent even to the visitor. 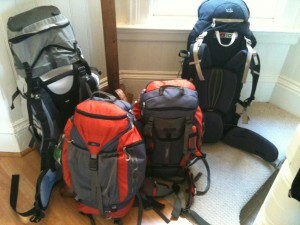 Southern Italy feels both poorer and cheaper. There’s a prevailing sense that the people have less money and there’s less spent on infrastructure. And what there is seems a bit glitzy and tacky; all against a backdrop of stunning countryside and some really wonderful sights, of course. The North feels richer, it oozes style. It’s the difference between leather and plastic. Having visited North and South in quick succession it’s not hard to see why the North wants to break away from the South. Economically and culturally there are enormous differences. And that’s not all that surprising given they were forcibly jammed together just over one hundred years ago. Our trip to the train station has us passing under a statue of King Victor Emmanuelle II the founding father of Italy. It seems that quite how long his achievement will last is still not certain. Anyway, the Leaning Tower is quite a sight. We were amused to find that all the surrounding buildings lean as well. And you have to give kudos to any nation that can turn an engineering stuff-up into such tourist gold.